Plans to turn Nuns Moor Park Bike Garden into a more established base for West End cycling have got underway. The Bike Garden site, once a bowling green and pavilion, has been transformed over the last five years into a flourishing community garden by the efforts of local volunteers and local charities. It now hosts children’s parties, community events, youth projects, workshops and training. It also provides local residents with opportunities to connect with nature through gardening, wildlife and outdoor activity. 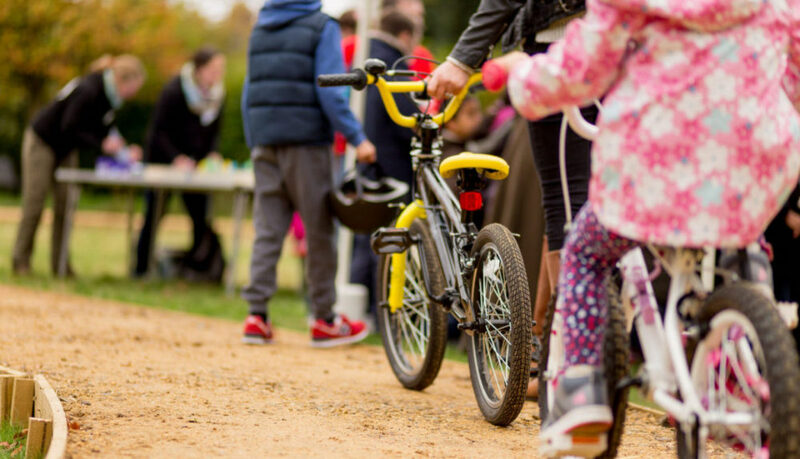 Last year, the garden hosted a number of cycling events, including popular all-day bike repair sessions, cycling lessons and bike repair training. This summer women-only, youth and children’s bike rides have involved scores of local people. 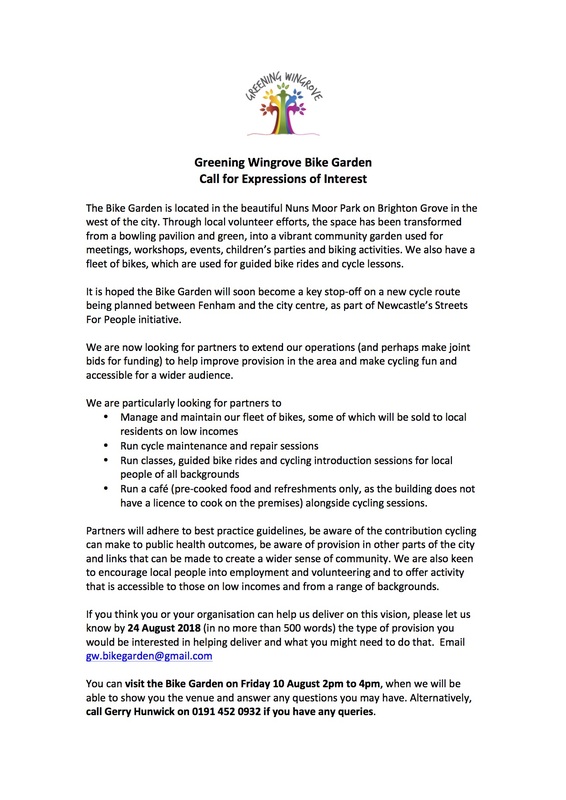 The success of these activities has prompted Greening Wingrove, which manages the Bike Garden on a volunteer basis, to look at expanding cycling-related activity in the garden and provide a more permanent cycling hub. It is also looking to hire out bikes and even give some away to local residents on low incomes. It also hopes to take advantage of a new cycle-friendly road route being considered between Fenham and the city centre, which would take cyclists past the park. City bike maintenance operators, cycling activity co-ordinators, cafe operators and others have been approached, to see whether a combination of different organisations working together can provide a hub to stimulate and support cycling in the area.